The Press of Robert LoMascolo: New Book! Here is a preview of my newest book! This book has been in the works for years, and the first copies are finally printed and bound. 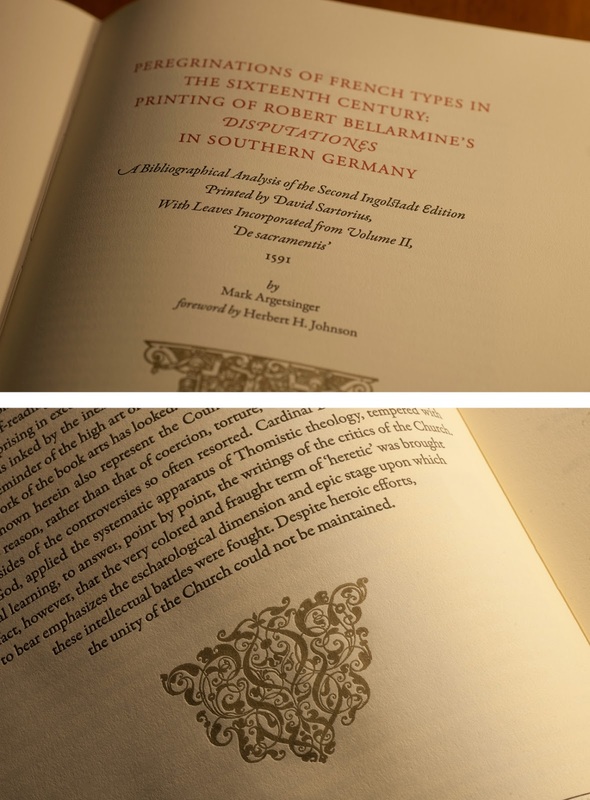 Each book contains two original leaves (4 pages) printed in 1591 and provided by book collector and professor emeritus Herb Johnson. The text was written by typographic expert Mark Argetsinger, and shows the spread or "Peregrinations" of French type in Southern Germany. I designed, letterpress printed and am binding the books with a luxurious vellum spine. This book will be available at Oak Knoll Fest!